Little B Boxwood Christmas Wreaths Mini Stickers. 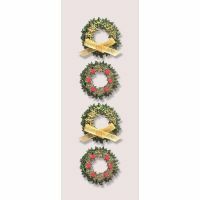 A pack of four boxwood wreath mini stickers, two decorated with red flowers and two decorated with gold bows. 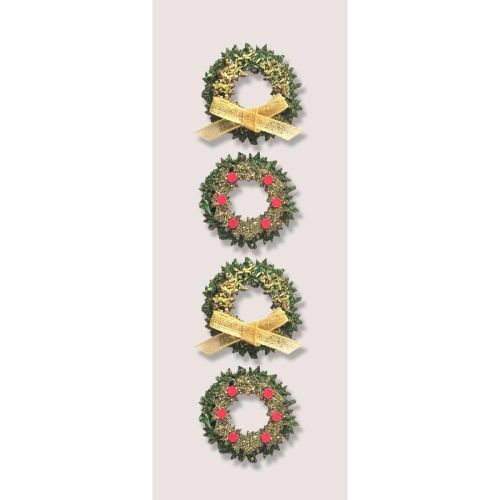 The cute, self adhesive Christmas embellishments will make the perfect addition to any Christmas craft project. Each wreath measures approximately 2.5cm.